History is a beautiful thing. 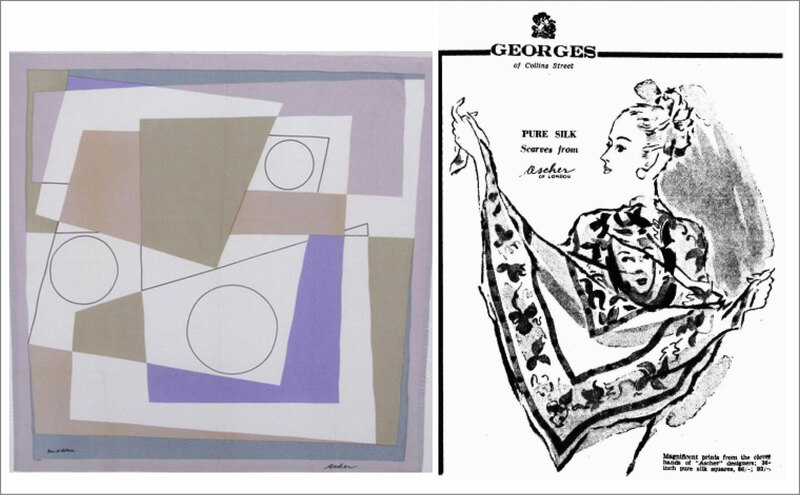 Ascher artist scarves from London were exhibited and sold at both Georges in Melbourne and David Jones in Sydney in 1947. An Australian newspaper at the time referred them as ‘weird distortions… fit only to be worshipped by art devotees.’ Oh dear. They would have created some lovely postwar brightness. Zika Ascher was one of the first to get together with artists in fashion collaborations. While his wife Lida was getting on with fabrics for the Queen no less. Now Sam, the grandson of Zika and Lida is doing the same. He’s looked at the archives and made them available for us again. To brighten things up.